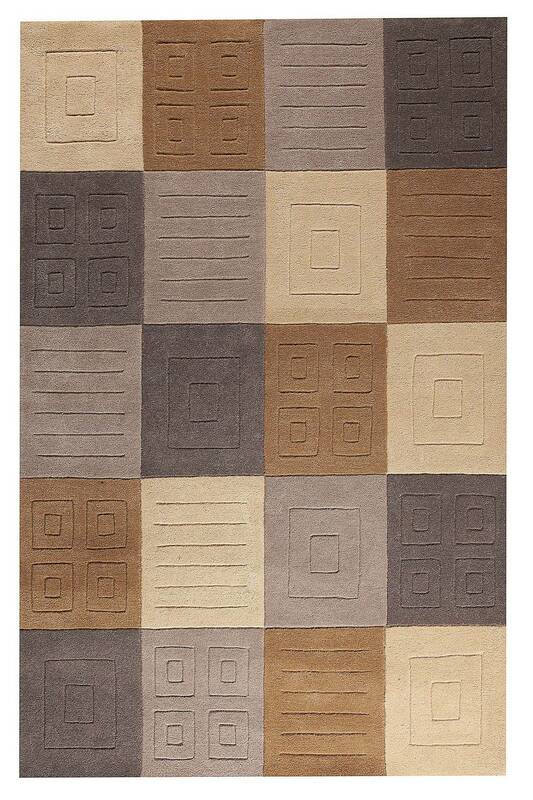 MAT Orange Cuadro Area Rug - Grey Beige - Swatches may be available. Hand Tufted. Contemporary. Beautifully eye-catching, the contemporary Cuadro collection incorporates a current style with gorgeous colorways to create a simply brilliant rug that is perfect for your transitional abode. Hand tufted using Indian wool, this artisan crafted floor covering is the perfect addition to your interior design project. Available in other sizes to accommodate your preferences. Hand Tufted with 100% Indian Wool Geometric 100% Indian Wool Cut and Loop; High Low; Hand Carved .5 inches. Made in India. 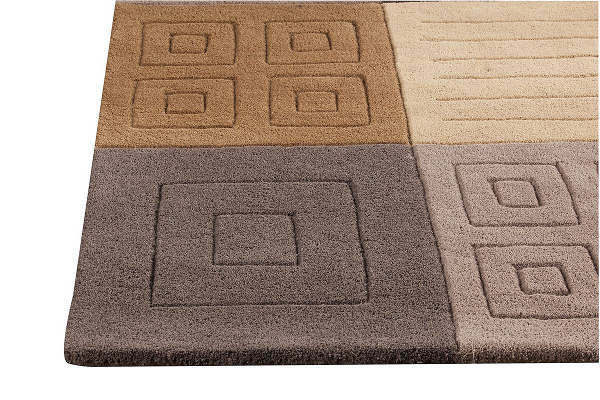 MAT Orange Cuadro Area Rug - Grey Beige 5'0"x7'0"
MAT Orange Cuadro Area Rug - Grey Beige 7'6"x9'6"